Direct Steel and Construction’s team has delivered great experiences for commercial customers; in both the Private and Public segments. Project types include restaurants, retail, office, industrial, institutional, recreational, religious and warehouse. Buildings facilitate a relationship among people, technology, and space. How do Customers benefit from working with Direct Steel and Construction as their Commercial General Contractor? Qualified project managers oversight of preconstruction and construction throughout its client’s project. Buildings facilitate a relationship among people, technology, and space. "The team at Direct Steel and Construction is competent, experienced, and motivated to meet and exceed their customer's expectations in a timely, efficient, and professional manner." As a Commercial Construction Manager, Direct Steel and Construction’s services allow for a very integrative project delivery method. 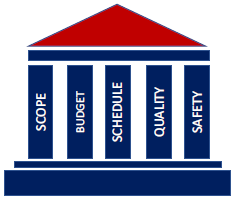 Team members work with clients, architects, engineers, funding sources, attorneys, and integral project team members. Direct Steel and Construction’s team has delivered great experiences for commercial customers; in both the Private and Public segments. Project types include restaurants, retail, office, industrial, institutional, recreational, religious and warehouse. 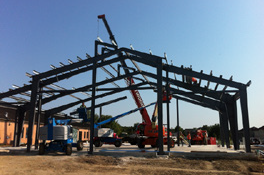 How do Customers benefit from using Direct Steel as their Commercial Construction Manager? With considerations including, but not limited to potential incentives, entitlement, and constructability. In order to integrate the optimal technology from leading suppliers into well-designed new buildings, additions, repairs, and remodeling. To provide valued engineered solutions by applying the best mix of pre-engineered steel, structural steel, wood and masonry with sustainable construction and "green” building practices. 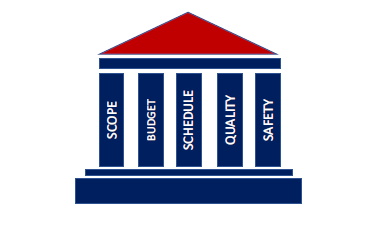 To align scope, schedule, budget, quality, and safety before the end of the preliminary phase. Reviews details of each scope with client. 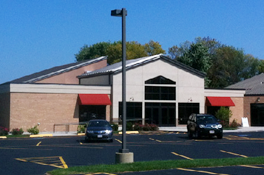 Embraces and maintains LEED AP and Green Associate and safety certifications and credentials. "We were aiming for modern/affordable and a structure that would carry a sense of relevancy, simplicity, and quality. Direct Steel provided that for us and went above and beyond in a build that included extremely frigid weather and a tight time frame." With decades of development, construction and business experiences, Direct Steel and Construction team proudly works closely with its clients as they seek to build or expand their operations. "Direct’s knowledge of the industry and up front communication style saved us time and money. We highly recommend Direct’s services." See What Others Are Saying ~ Maud Borup, Inc.